Dessins de broderie. France 1818. Tulle dress, trimmed with satin and Chenille. This entry was posted in 1818, 19th Century, Embroidery, First Empire, France, Journal des dames et des modes and tagged Embroidery designs, First Empire Style on 8/20/16 by world4. Light infantry of the Imperial Guard (Napoleon 1st, 1809). Infanterie légère de la Garde Impériale (Napoléon 1er,1809). Voltigeur. Carabinier. 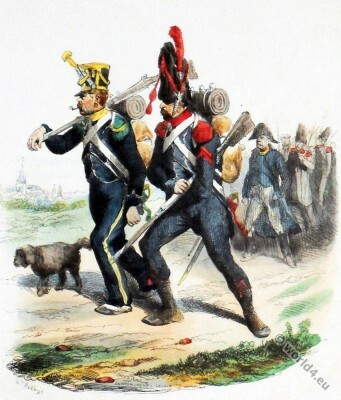 This entry was posted in 1809, 19th Century, First Empire, France, Military and tagged First Empire Style, French military uniforms, Histoire de l'Armée on 10/11/15 by world4. Fancy turban. Filled Twists dress. 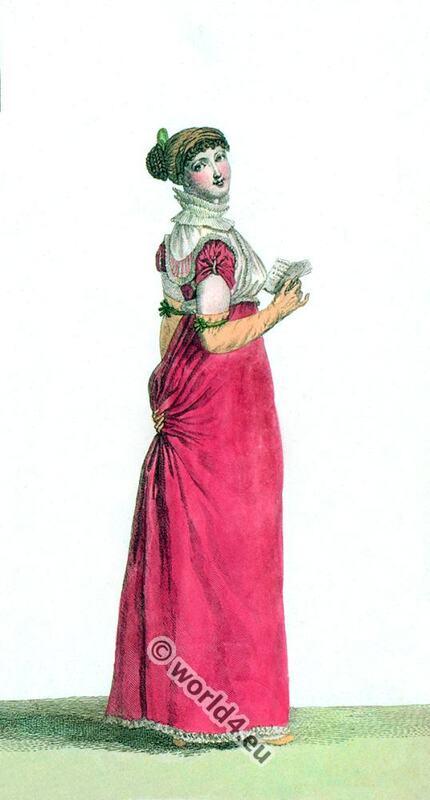 Regency fashion 1804. Fancy turban. Filled Twists dress. Regency, First empire fashion. Turban de Fantaisie. Robe Garnie en Torsades. Costume Parisien 1804. 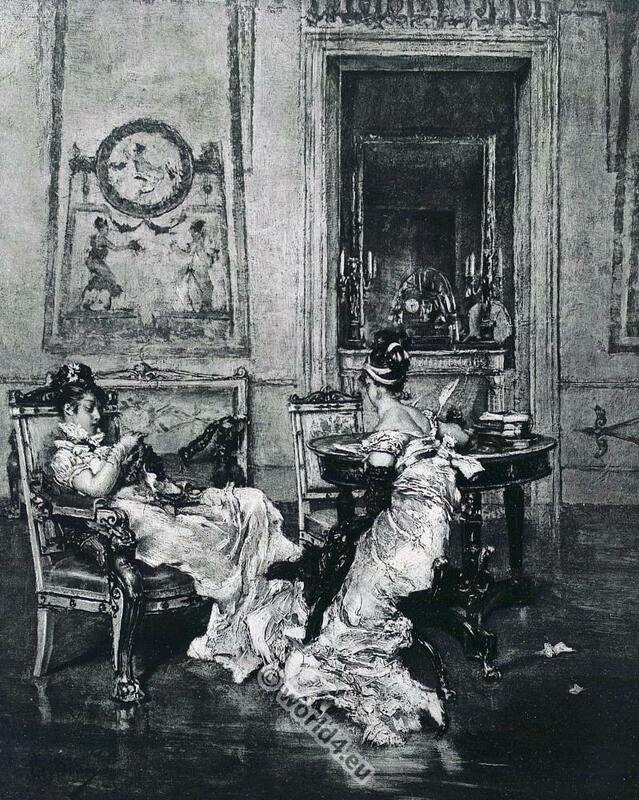 Journal des dames et des modes. 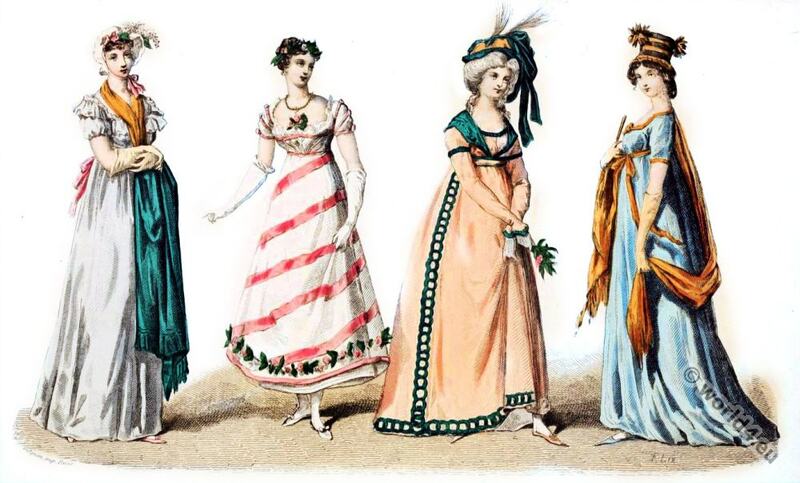 Costumes parisien 1804. France First Empire fashion, England Georgian, Regency fashion period. 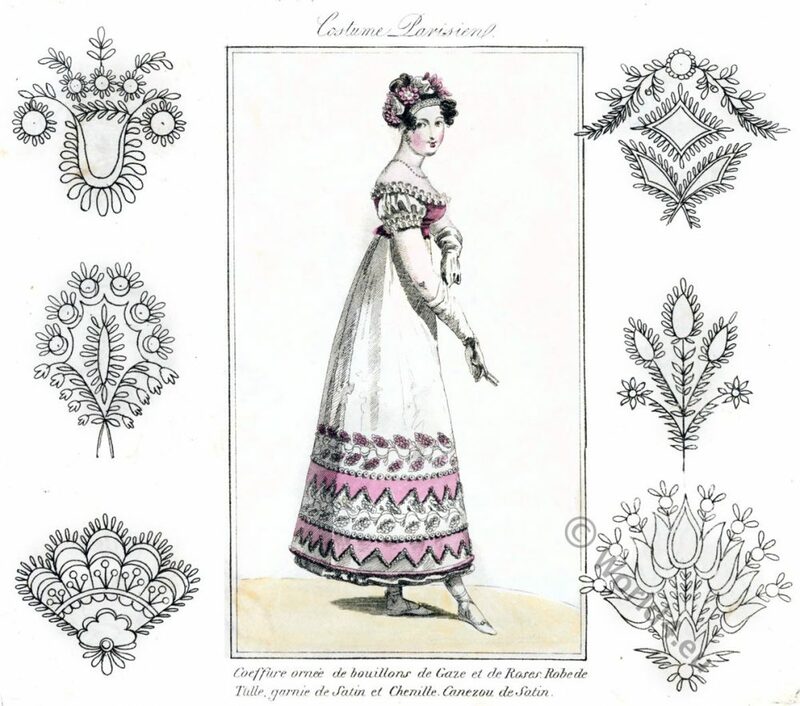 This entry was posted in 1804, 19th Century, Costume Parisien, First Empire, France, Georgian period, Journal des dames et des modes, Regency period and tagged First Empire Style, Journal des dames et des modes, Regency period on 4/13/15 by world4. 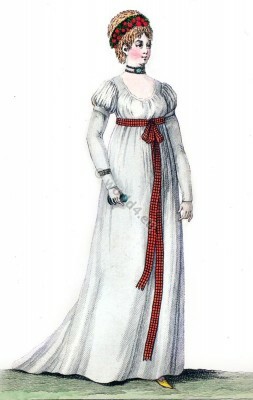 Short puffed sleeves costume 1798. Short puffed sleeves costume 1798. Journal des dames et des modes. This entry was posted in 1798, 18th Century, First Empire, France, Modes Parisiennes and tagged First Empire Style, French Directoire style, Journal des dames et des modes on 4/9/15 by world4. Turkish Chiffon Dress. France Empire 1804. Coiffure en Chou de Nattes. Robe de Mousseline Turque. 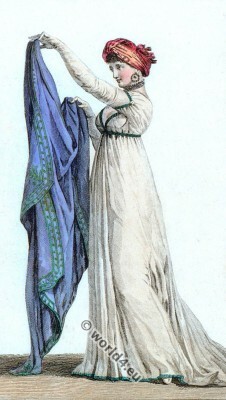 Costume Parisien 1804. Journal des dames et des modes. Costumes parisien 1804. France First Empire fashion, England Georgian, Regency fashion era. This entry was posted in 1804, 19th Century, Costume Parisien, First Empire, France, Georgian period, Journal des dames et des modes, Regency period and tagged First Empire Style, Journal des dames et des modes, Regency period on 3/9/15 by world4. Regency fashion. Colerette, Pélerine, Straw hats, 1804. 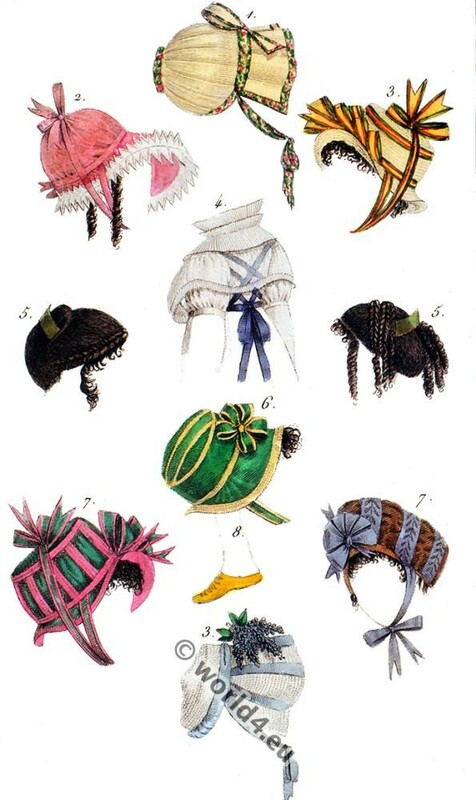 Regency fashion hats. Colerette, Pélerine, Straw hats, 1804. 1, Chapeau de Sparterie. 2, Chapeau de Marcelline. 3, Chapeau de Paille cousue. 4, Colerette et Pélerine. 5, Coiffures en Cheveux Kisses. Chapeau de Taffetas orné de Rubans de Paille. 7, Chapeau de Rubans. 8, Soulier couvert. England Georgian Regency, France Directoire, First Empire, Neo Classical. 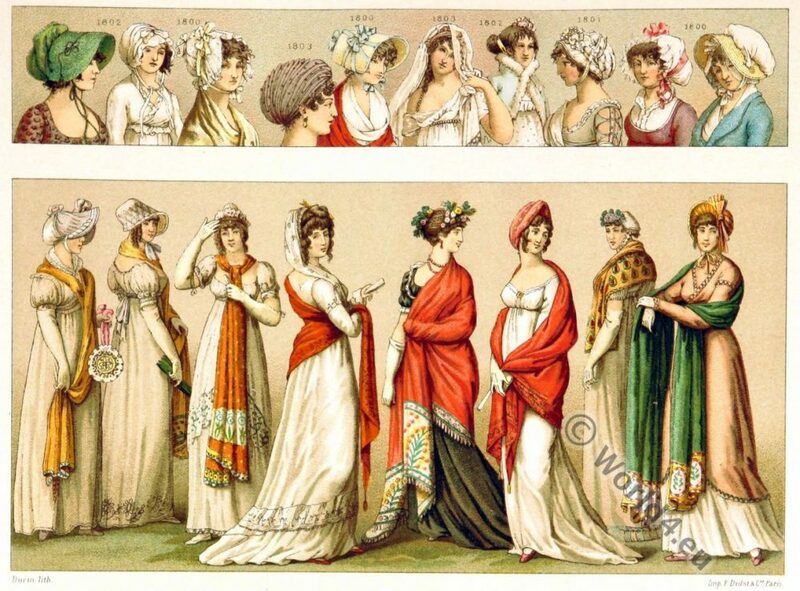 This entry was posted in 1804, 19th Century, Costume Parisien, First Empire, France, Georgian period, Headdresses, Journal des dames et des modes, Regency period and tagged First Empire Style, Journal des dames et des modes, Regency period on 3/9/15 by world4. Half Dressed costume. Regency era menswear. Half Dressed costume. 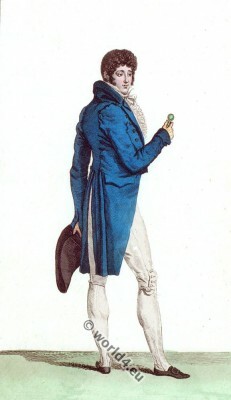 Regency era menswear, 1804. Costume Demi-Habillé. Journal des dames et des modes. Costumes parisien 1804. France First Empire fashion, England Georgian, Regency fashion era.